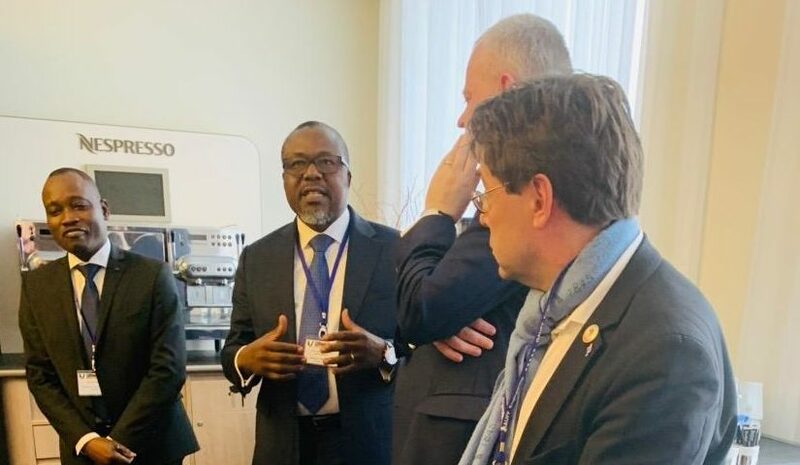 Hamburg 27/03/2019: Dr. Stefan Lieblig, president of the German-African Business Association, opened the 13th German-African Energy Forum in Hamburg on 27 March. Our representative, Prof Pfaffenberger, got the unique opportunities to get new contacts, e.g. with the representative of the Federal Ministry for Cooperation and Development, Bärbel Höhn (former Minister for Energy of North Rhine-Westphalia). Picture: the discussion with the Minister for Energy of Togolese.